Get creative with your gift giving this year. The perfect item doesn’t always need to be “wrapped” per se. Rather than buying any old thing from the store, try appealing to your loved one’s sense of nostalgia and frame something that captures an unforgettable moment. Be unique this holiday season and frame a meaningful memory to make it last for years to come. Custom object mounting and framing can instantly transform a collection into an artistic display. These baseballs had been accrued by their collector for years before finally bringing it in for framing, wherein the case was handmade specifically for this project. 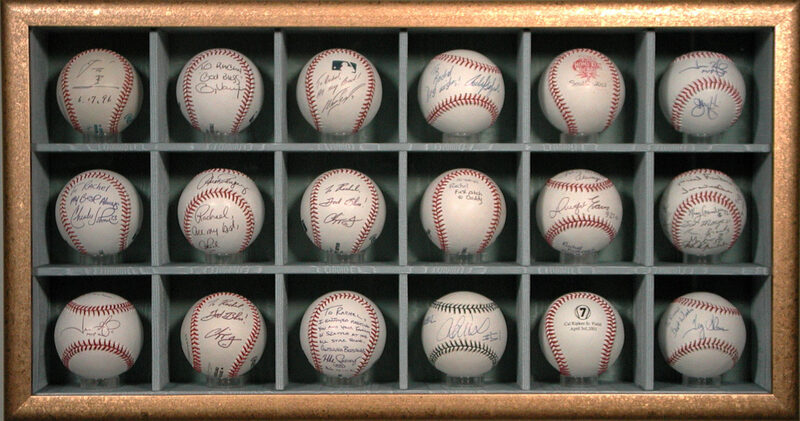 Now, rather than sitting on a forgotten shelf, these baseballs are beautifully preserved while artfully presented. Something as simple as coasters collected from trips all over can be mounted and framed in a unique way. Minimal yet elegant, these coasters are memories preserved from each journey taken, and a daily reminder of all the fun those trips entailed. Try framing something new and unique this holiday and inspire memories with your gift.